What should I be doing Senior Year? Fall semester is all about applying to colleges and scholarships. 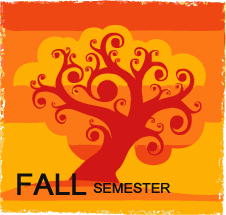 Click "Learn More" for a complete FALL semester checklist! Spring semester consists of completing FAFSA to ensure you receive financial aid for college. Click "Learn More" for the full checklist! You're almost a college student! There are several items that you need to make sure are completed in order to successfully enroll. Click "Learn More."